Writing is a marathon. It’s not a sprint where one day you decide to write a novel and two months later your book is displayed on a shelf at Barnes and Noble. It takes fortitude to be a writer and go the distance. Where do we get that kind of endurance? Strong coffee, Dr. Pepper, or heavy doses of chocolate? Well … actually … quite often caffeine is helpful, but it only provides a boost for a limited time. Wouldn’t it be amazing to have the kind of energy that Isaiah mentions? To soar like eagles—feeling light and free without any cares. To run—and never get tired. To walk for miles—even up steep mountains—and never become faint. Wow! That would take some energy drink!!! Sometimes, daily struggles weigh us down. They wear us out. The bills keep showing up in the mailbox. We may worry about how the kids are doing in school or the type of friends they’re making. It may be something smaller that adds weight to our pack—like remembering at the last minute that we’re supposed to bring dessert to a church meeting. As writers, there are deadlines to meet—even those that pertain to getting blog posts written! There are challenges with writing around family and other work-related responsibilities. Hearing how important blogging, networking, building websites, and marketing are in a writer’s career, we can feel bogged down with the amount of time and effort that goes into it all. Sometimes we forget that God is standing with us, desiring to give us all that we need to not only live our lives, but live them with passion and zeal. We’re not alone in our family life, our day job, or our writing careers. “But those who hope in the Lord will renew their strength.” Do you realize what a blessing it is to have hope? Christians have been given an amazing gift! Hope sustains when there’s temptation to give up. I’d love to fly and feel the air beneath my wings. Hey readers, Annette here on our final Grammar Wednesday. Watch for Ocieanna's return next week. We're excited! Today let’s talk about order. As an editor, I see the issue of order come up often. What do I mean? Three hints: It’s something you read all the time in published books. If you’ve ever written dialogue, you’ve probably done it. And it’s sort of against the rules. So, consider my advice, but know your publisher will have their own position on this order issue. So, what is it? See if you can find it in the following sentence. Did you see it? Let me fix it and then maybe it’ll stand out more. Now it makes more sense, right? It’s the “said” before what was said. Write on, but don't forget about order. If you’ve been around a while (Seriously Write celebrates two years this week! Thanks, readers!! 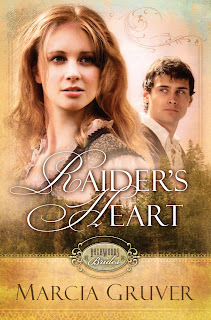 ), you may have seen my All About the Readers Series. (Click the link for the first post, then use the tags to navigate to the others.) That’s my philosophy, because it helps us keep our focus on ministry and not on ourselves. If we keep readers in the forefront of our minds while we’re writing, we’ll likely speak directly to them as they’re reading. If we’re prayerful, God will speak to them. We writers will have opportunities to meet with readers beyond when they’re holding our work in their hands. 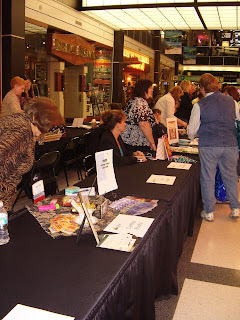 Booksignings, grocery stores, conferences, churches, these are all places to meet with our readers. So, how do we approach them with care? ~ Listen to your reader. Remember, it’s not about us. Let them share more than you do, unless they ask you a question. Prayerfully watch for ways to bless them or minister to them. Be gracious, hospitable. Set an example. ~ Be yourself. No need to put on airs. There are plenty of unreachable people in the world. Don’t be one of those. Be accessible in that moment, relatable. Readers read to know they’re not alone. So, be friendly, Christlike, compassionate. Let God use you to express His heart to them. ~ Respect readers. They’re smart, savvy, gracious, critical, and they make up an army. So, handle them respectfully. We’re all peers. ~ Treat everyone the same. God is no respecter of persons. We shouldn’t be either. This is a tough one. But if we aren’t treating people the same, we’re actually devaluing someone somewhere. And that isn’t Christlike. So, whether you’re blogging, penning a novel, or socializing, remember to always approach readers with care. Today let's talk about Plotters and Seat-of-the-Pants writers. Which one are you: a plotter or an SOTP (seat-of-the-pants) writer? SOTPers may begin their novel with a general outline in mind, or not. Oftentimes, they just begin with a kernel of an idea, some characters, and/or a title. Then, they sit down and let the story go wherever the characters take it. Plotters, on the other hand, outline as much as possible, thinking through most, if not all, elements before striking those computer keys. I’m a modified SOTP. I used to write completely SOTP, but lately, I’ve been challenged to learn to plot. Oh, ugh. Now, I’m not saying every SOTPer should learn to plot, I just know where God’s been leading me. I believe He wanted me to be a more flexible writer. And it’s working. Plus, I’ve found the right tools and am finding the right balance for my process. Woo-hoo! You know, that’s key—consider that a nugget freebie this fine Manuscript Monday—find the right tools for you and practice by writing so you’ll learn your best process. Every subsequent manuscript will likely be easier to pen to a rough draft form because you’re not scrambling for tools while trying to write. I keep a file box full of articles, characterization tools, plotting helps, etc. Recently I pulled out a manuscript I wrote almost exclusively SOTP. Just sat down and wrote it. Didn’t worry about outline. Didn’t really have a goal (I know, plotters, I know—shocking!). I tapped into the river and went with it. A fun ride! But on reading it through, I found holes. I have a confession—one of my biggest weaknesses as a modified SOTPer is pacing. *gasp* But, how cool is it to see our weaknesses? That’s when we can go find tools to shore up those places. I’ll get back to that in a moment. ~ Pacing troubles—get people moving! Introduce a situation as a catalyst for change in the story or as a catalyst for character growth. Go with your instincts. If you sense the story is boring, it probably isn’t just that you’ve read it a million times, it probably just needs tweaking. So, bring a plot element closer to that point in the story (drag it in from the future). As a writer, I hesitated doing that, feeling afraid I wouldn’t have enough plot elements for the later parts of the story, but trust God. He’ll feed you the right information at the right time. ~ Character inconsistencies—keep a chart. Most SOTPers probably do go through the routine of writing characters sketches and filling in charts. I do and I highly recommend it. Now, if you’d rather nothing stop the flow of gushing words, that’s fine. Just work on your chart bit by bit after your character reveals his/her traits to you. Readers catch inconsistencies. Respect them enough to stop and jot a note—whether it’s backstory or hair color or aspirations or motivation. Consistency is key. ~ Losing track of the story—create an outline after you write the story. Some editors and agent guidelines require chapter-by-chapter outlines for book proposals, so outlining isn’t completely avoidable. And just because you sit down and pound out your story from beginning to end in a flurry of weeknights and weekends doesn’t mean you’ll never need an outline. Don’t be afraid. Just begin at the beginning. Creating an outline will show you where you have pacing or plotting holes. And seeing holes is great! You can fix them before anyone else sees your work. Or you can ask your crit group to help you brainstorm. So, SOTPers, relax. Enjoy the process. Don’t be afraid of finding holes, that’s an opportunity to produce a better story. Welcome to Fortify Friday—a day at Seriously Write that is devoted to featuring guest authors. They share their journeys to publication, as well as encouraging words to other writers. 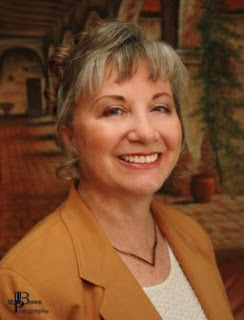 Kathi Macias is known for writing fiction with international settings. She’s here today, sharing a part of her writing experience. Enjoy! From the moment I signed the contract with New Hope Publishers for my four-book Extreme Devotion fiction series, I began hearing variations of the same question: What’s the genre? Tough one to answer. I suppose contemporary international fiction sums it up best, since each book is set in a different country and takes place in modern times. But New Hope, which is known for its passion for missions, has opted to call it “Fiction with a Mission,” and I couldn’t be more pleased with that label. The first two books of the series, No Greater Love, which is set in South Africa in 1989 during the violence and upheaval preceding the overthrow of Apartheid, and More than Conquerors, set in Mexico and dealing with the Mayan culture and influence, released April 5, 2010. Book three, Red Ink, is set in China and released in October 2010, while the final one, People of the Book, set in Saudi Arabia, released in April 2011. 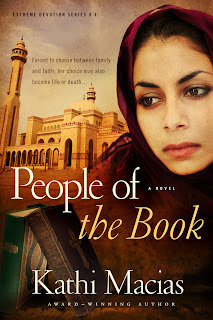 The writing and production of this series was an exciting shared adventure, as I partnered with New Hope Publishers in their first fiction launch even while I learned about the unique aspects of writing fiction in international settings. Of the four countries highlighted in the books, I have been to only one—Mexico—but I have never set foot in the area where the Mayan culture is so strong and where much of that book takes place. Can anyone say RESEARCH? Online research, library research, books and videos and movies—and people. My greatest resource for authentic research was connecting with people who either currently live in the countries where my stories occur or had recently lived there. Though I began the writing of the stories based on much of my online and book research, the majority of personal touches that make readers say, “Wow, it’s like I’m right there!” came about as a result of feedback from those who know the areas and culture firsthand. And now we are in the midst of the Freedom series, a “fiction with a mission” trilogy based on the topic of human trafficking. Though much of these three books will take place right here in the States, as I wanted readers to understand that human trafficking doesn’t just happen in faraway lands, the books will also contain a strong sub-plot set in the Golden Triangle area of Thailand. (Yep, more research!) Even our stand-alone 2011 Christmas book, A Christmas Journey Home, has an international setting, with the story going back and forth between the Baja area of Mexico and the Arizona desert. As an author of Christian books, this is my way of “going into all the world” to fulfill the Great Commission—and calling others to do the same. I pray my venture into international fiction will truly prove to be “fiction with a mission” for all who read it—and who may find themselves called to expand their own writing into this exciting and growing genre. Kathi Macias is a multi-award winning writer who has authored more than 30 books and ghostwritten numerous others. A former newspaper columnist and string reporter, Kathi lives in Southern California with her husband, Al, where the two of them spend their free time buzzing around in Al’s 2005 sunburst orange Corvette—hence, Kathi’s “road name” of Easy Writer. Would someone describe you as being a confident person? How often do we lack confidence and doubt our abilities? We may lose our confidence when we receive a “thanks, but no thanks” in reply to a submission. According to the dictionary, if we have confidence, we believe in our own ability to succeed. Sounds almost boastful, doesn’t it? But, confidence shouldn’t be confused with arrogance or pride. Maybe the confidence mentioned in Hebrews 10 is the confidence we can have knowing that our Lord is working through us. We’re only the vessel. We need to keep trying, even when we feel a bit discouraged. When we’re nervous about submitting a manuscript or pitching at a conference, we’re to remain confident that God is at work. We can be bold when we’re pursuing our calling—even when the road becomes bumpy and we’re tempted to take an easier, smoother path. Friends, in order to receive the rewards God has for us, we must persevere. Don’t lose heart! Don’t lose your confidence! And go submit that manuscript…. Welcome to Grammar Day at Seriously Write. Do you ever wonder whether you should use a numeral or spell out the number? Today, we’re going to look at rules and examples that will hopefully alleviate some confusion. Rule 1: In books, spell out whole numbers one through one hundred, as well as round numbers. Examples: I would like three copies. I would like one hundred copies. I would like 101 copies. In articles, spell out whole numbers below 10; use numbers for 10 and above. Examples: There are nine people on the team. There will be 12 people on the team. Rule 2: Be consistent within a category. Examples: Out of 10 apples, I found 2 rotten ones. Out of ten apples, I found two rotten ones. Rule 3: If you have numbers in different categories, use numerals for one category and spell out the other. I purchased 15 tickets for my seven employees. I have 10 toes but only two feet. Rule 4: Spell out simple fractions and use hyphens with them. Examples: One-half of the casserole was eaten. A two-thirds majority is required for that bill to pass. Rule 5: A mixed fraction can be expressed in figures unless it’s the first word in a sentence. Examples: He cranked the wheel around 5 ½ times. Five and one-half pieces of cake were left. Rule 6: Write decimals in figures. Put a zero in front of a decimal unless the decimal itself begins with a zero. Examples: He moved the hook 0.55 inches to the right. Then he moved it .09 inches to the left. Rule 7: Never start a sentence with a numeral. Correct: They sold 124 hotdogs. Correct: One hundred twenty-four hotdogs were sold. Incorrect: 124 hotdogs were sold. Rule 8: If you’re writing out decades with incomplete numerals, put an apostrophe before the incomplete numeral, but not between the year and the s.
Correct: Do you prefer music from the ’80s or the ’90s? Incorrect: Do you prefer music from the ’80’s or the ’90’s? The Chicago Manual of Style and the AP Stylebook were used as references. Recently, I joined several other writers at a well-published author’s home, sharing stories and writing tips. What a treat to fellowship with other writers! We understand each other. But walking into the room, knowing only one other woman there, I was careful how I conducted myself. Later, your Seriously Write hostesses shared lunch to discuss our lives, our hearts, and our hopes. We laughed and related. Such a blessing. We’ve taken the time to cultivate a relationship with each other. We trust each other. We know how to relate with each other, but we still approach each other with care. I watched an interview lately on DVD where the cast of a show sincerely praised one of their guests as being a nice guy. Everyone readily agreed. If people were to offer a one word descriptor of you in your absence, what would it be? I can be prompt and current with all my responsibilities, but if I’m abrupt in my interactions, what good is it? I can be known for keeping my writing deadlines, but if everyone else in my life suffers, have I really succeeded? What about trusting God with what’s on my plate and being gracious to those around me? What is the one word you’d like people to use in referring to you? Live that word. Is it loving? Genuinely care for people. Is it relatable? Put others above yourself. Is it friendly? Be a friend. Years ago, I desired to be warm. Seeing others exuding grace and warmth baffled me. I’d always had so many guards up, I couldn’t understand how these people so freely, genuinely made others feel secure, just by being warm. Honestly, I’m unsure people would call me warm, even now, but I’m working on it. (By the way, the best way to become something is to study that facet in God’s character. You become what you see.) (2 Corinthians 3:18) To me, warmth is Christ-like, after all, it’s His kindness that leads us to repentance. We all know the writing life, the writing calling, just as with the Christian life, is one of refining. What areas has God been highlighting in your character? He’s been at work in me in many areas, and it’s funny how they’re all related. Publishing is a small world. We want to make a positive, Christ-like impression and maintain it. To be consistent with our family, our community and others in the writing world. That way we can approach people intentionally, “care”-fully, lovingly, genuinely. And in that God is glorified. It’s all in our approach to life, to people, to our calling, and to other writers. 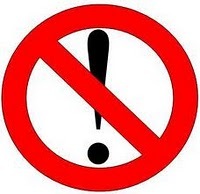 When I’m editing manuscripts, I somehow turn into the cruel and heartless eliminator of… exclamation points!!! Seriously, I’ve developed a hatred for them! People tend to WAY overuse them! Not to mention italics and bold, and that oh-so-effective use of ALL CAPS!!!!!!! If you tend to use a plethora of exclamation points, do a search-and-replace in your manuscript and put a period in place of every single one of them. Yep, every one. Then you can go back and add an exclamation point here and there if you really must. But I’m not kidding: V E R Y . . . S P A R I N G L Y. *See the original post at Rachelle's newly redesigned website/blog. Welcome to Fortifying Friday! Offering encouragement to writers has been a big part of our mission here at Seriously Write. We believe sharing our journeys to publication can help writers see that although paths may be different, there are similar things we can all learn on the way. Today, author Annalisa Daughety shares what she’s learned as a writer on her own journey. Enjoy! I guess my writing journey began when I learned to hold a pencil. From that day forward, I was a writer. I even kept a diary starting in the first grade. Some of those early journal entries are pretty funny to look back on, detailing everything from events in the news to things I watched on TV. Joanie and Chachi’s wedding on Happy Days got lots of coverage in my journal. Guess I was a bit of a romantic, even as a seven year old. I never seriously considered going after my dream though. The idea of people reading my words terrified me. It still does sometimes. Would they identify? Would they think I was stupid? There is a certain amount of vulnerability that comes each time I send something out into the world. Those moments before I hit SEND on a new proposal are scary. And once a completed manuscript is turned in—although there is a lot of relief—there is a lot of fear. Will my editor like it? But that doesn’t even touch the fears that come when the book is actually released. When my characters—who have become my friends and who each have little pieces of me in them—no longer belong to me. They belong to the reader. Some readers will love them. And some will not. And that is not always easy to deal with. I’m still working on growing thicker skin. The biggest lesson writing has taught me has been to go after my dreams. If I let fear hold me back, I’d never get a word written. Just like in life. I look back over the past ten years and there have been so many times when I’ve had to take a leap of faith. Times when the easy thing to do would be to stay in my comfort zone and not take a risk. Sometimes those risks work out and sometimes they don’t—but I will always be glad that I tried my best. As a writer, I have to make sacrifices. I work a full time job in addition to writing. My life gets pretty hectic sometimes. I think one of the other lessons I’ve learned through my writing journey is that I can always find time for the things that are important to me. If you walk through my house when I’m on a deadline, you’ll see that cleaning is not one of those things. J But there are ways to fit in the things that mean the most. Another lesson I’ve learned as a writer is how important it is to have a support group. My family and friends are always quick to offer encouragement when I need it. And my critique partners are invaluable. It definitely takes a village to write a book. No matter where you are on your writing journey—remember that everyone’s journey is different. Some will be published quickly and some not for many years. Don’t get discouraged. You have your own path and ultimately, those experiences will be part of your story. My advice to budding writers is always the same: read and write and do both frequently. 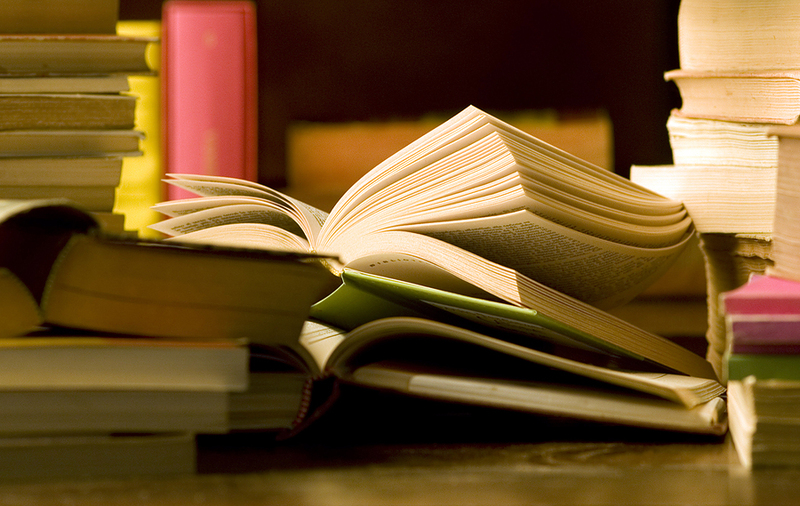 There are contests and conferences and books on writing—and those are great. But reading as much as you can and carving out time each day to write are vital steps in the journey. Life as a writer isn’t always easy. It can be exhausting and exhilarating at the same time. But I wouldn’t trade it—even the tough parts—for anything. Annalisa Daughety, an Arkansas native, is the author of five novels. She writes inspirational, contemporary fiction set in historic locations. Her previous work includes the Walk in the Park series, set in popular national parks, as well as Love Finds You in Charm, Ohio. Her next release, Love Finds You in Lancaster County, Pennsylvania, releases in July. A graduate of Freed-Hardeman University, Annalisa spent the past ten years working in the non-profit sector in marketing and event planning. 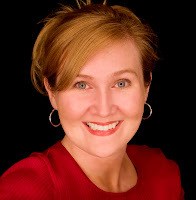 She is an active member of American Christian Fiction Writers and loves to connect with her readers through social media sites like Facebook and Twitter. She currently lives in Memphis with two spoiled dogs and is hard at work on her sixth novel. People hunger to be loved and accepted. I believe that’s the primary reason Lady Gaga was recently named the most powerful celebrity on Forbes' list of 100 top celebrities—bumping Oprah to number two. My personal opinion is that Lady Gaga is an intelligent, sensitive, and talented young woman—who also dresses outlandishly and often pushes the boundaries of appropriateness too far. She has a HUGE fan base. Why? Part of it is her vocal strength and ability to put on a “show.” But, the bigger reason is the message she believes and shares with her audience. Acceptance. Love people for who they are and learn to love yourself. Lady Gaga is extremely influential in the world today because people need to hear and feel what she offers. Friends, do we not have something even greater to offer? Why is it that the love of Christ seems diminished in the eyes of the world when it comes to comparing how people feel about entertainers, sports heroes, or other fallible humans? As writers, we have the opportunity to share God’s love through our stories with those seeking validation just for existing. No one on earth can be more forgiving, loving, and accepting than our Lord Jesus. Do you ever take shortcuts when it comes to grammar? Hey everyone, Annette here. Rather than post another quiz today, I’ve decided to offer a touch of advice. Sometimes I get a little lazy when I’m writing. Instead of looking up a word, I’ll choose another one if I’m unsure. Or instead of dislodging the hefty Chicago Manual of Style from the shelf beside me, I’ll rework the sentence into a format I know is correct. Can you relate with this? But what kind of service are we doing for ourselves when we avoid tracking down the right word or the right way to format something? That’s one of the reasons I’ve enjoyed doing Grammar day here on Seriously Write. I’d choose topics I was somewhat confident in and then research to make sure I presented them correctly. Now, I have the rule lodged in this overstuffed brain of mine (overly full because I’m trying to keep track of a million things at once, not so much about intelligence busting out--grin). So, hyphens, en dashes, and em dashes became a lot more familiar, because I took the time to both look them up and study them. So, let’s commit to this together. Next time we are tempted to take a shortcut where grammar is concerned, let’s invest the time in looking up the answer and memorizing it. We’re serving ourselves and our readers by growing in this area. Face it, grammar is a non-negotiable, unavoidable aspect of writing. Right? Don’t avoid it. Conquer it! And write on! People are often surprised when they find out what I do, and that’s probably because I don’t usually tell them. My husband dropped off our youngest at a birthday party recently to hear these words, “I didn’t know your wife was an author. I went to her site and I’m thinking of getting her book.” Aww… I’ve seen this dear fellow mother three days a week for a year. Okay, you could chalk it up to my being an introvert, but it’s also easy not to mention what you do when no one asks. Then, there are the times I’ve asked others what they do and they’ll tell me, but assume I’m a SAHM (thanks Meredith Efken for the acronym. It stands for Stay At Home Mom). And that’s partly true. So, if they do ever ask, I’ll tell them. Otherwise, let the conversation be about them. That’s cool. When you interact with local people, what do you talk about? I’m not saying we can’t or shouldn’t mention our careers. Please do. And don’t be ashamed! For a long time, it was difficult for me to say I was a writer. And then when I published some things, it was challenging to “admit” I was an author. People give you strange reactions, am I right? You know it. But when you’re living out your calling, it’s important to do so unashamed. Shame, even when it's a lie, will only hold you back. Hey readers, your hostesses are in the process of making some changes here at Seriously Write. Last week we asked for feedback on what you'd like to see. (Feel free to still chime in on that.) This week, Ocieanna Fleiss is gearing up for her return and would like your questions. What have you wanted to know about writing (writing craft, editing, etc. ), but you haven't found the answer? Here's your chance to have Ocieanna address it. She's published with Summerside, so if you have questions about publishing, ask away! Soon, she'll launch her Ask-O day here on Seriously Write and your question could be first. Leave comments here throughout June to participate. Ocieanna has edited multiple manuscripts and has contributed writing articles to NCWA's author newsletter for years. Her insightful way of addressing writing questions is both humorous and useful. She's the ideal critique partner because she gets the writing process from both the writing and the editing perspective. That makes a great coach. Other changes are coming, including contest info. Stay tuned to Mondays in June for more. Negative comments are never easy to take, but since it’s almost impossible to please everyone, at some point in our lives we all need to deal with it. As writers, we face possible criticism every time something we pen is published. Today, author Marcia Gruver is here to share encouraging words on that subject and what she’s learned on her journey to publication. Thanks, Marcia! A dear friend and fellow writer enters a chapter of her current project in a contest. After anxiously awaiting the results, they trickle in one at a time. Two judges give her a perfect score. That’s right … perfect scores with rave reviews. The final judge pens a very low mark followed by terribly unkind comments scratched in the margin with red ink. Ouch. This got me to thinking. Three random people read the same 3,000 words. Two praise them profusely. One despises them. How can this be? Is it really a matter of divergent taste? In our zeal to do a good critique or brilliant review, do we forget to enjoy the story? Are we caught up in ferreting out mistakes in order to show off our amazing eye for good writing? Maybe we’ve forgotten there’s a flesh and blood person connected to the work—an author who will read the harsh words knowing her peers may see them, too. The first review of my debut novel was so brutal, I cringe today at the thought. At the time, it crushed my fragile new-author spirit. After a lot of soul-searching prayer, I decided to respect the woman’s right to her opinion, but I knew in my heart the book was better than she claimed. 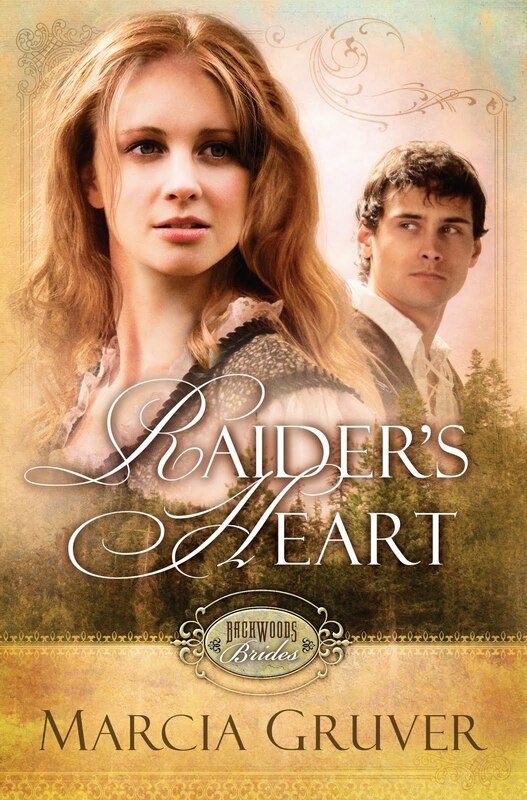 Since that dark day, the same novel has garnered wonderful feedback and a four star review from Romantic Times Magazine, whose reviewer called it a “charming tale.” Go figure. My friend’s red-lined chapter grew into a wonderful story that also earned four stars from Romantic Times. She went on to become an award-winning author, producing numerous works of brilliant fiction. She refused to focus on the negative comments and pressed on to great success—with many more starry reviews from Romantic Times, Amazon.com, Barnes and Noble, and other notable outlets. I read an article reporting that Kathryn Stockett’s wonderful book, The Help, met with 60 rejections before becoming a best seller. Kathryn asked, “What if I had given up at 15? Or 40? Or even 60?” I can answer her question: The literary world would be short a gifted writer and one amazing novel. What if my friend had tucked tail and scurried away to lick her wounds? What if I had? At some point in our careers, it’s possible, even probable, to run into rejection or a painful review of our work, but we can’t let it define us. More importantly, we can’t let careless words or red-lined manuscripts dampen our enthusiasm or break our spirits. Take care to heed constructive criticism, but the next time you’re faced with an overly harsh commentary on your work, don’t take it to heart. Hold your head high instead, and set your sites on the stars. Marcia Gruver’s southern-comfortable roots lend touches of humor and threads of faith to her writing. Look for both in her Texas Fortunes and Backwoods Brides series. When she’s not perched behind a keyboard, you’ll find her clutching a game system controller or riding shotgun on long drives in the Texas Hill Country. Lifelong Texans, Marcia and her husband Lee have five children. Collectively, this motley crew has graced them with a dozen grandchildren and one great-granddaughter—so far. Do you ever ask yourself that question? My motive for doing laundry every week is that I like clean underwear. I don’t enjoy grocery shopping, but a gal’s gotta eat! Don’t you think your family would mutiny if the refrigerator didn’t get stocked at some point during the week? That’s motive to battle aisles filled with rude shoppers and their carts. But, what about times when volunteers are needed at church or at your children’s school? Do you offer assistance because you get excited about what you can contribute? Or do you raise your hand because you want to be liked and accepted? Maybe you’re afraid it will make you look bad if you don’t join in with the rest. Perhaps the “thanks” and accolades that are sure to follow are too hard to resist. Like most people, I struggle with pride. As a vocalist on a contemporary worship team, I need to constantly check myself. If my motive for singing in front of the congregation is for my glory and not God’s, people will see right through me, and I’ll become a distraction and hindrance to their worship experience. Proverbs 16:2 says that the Lord weighs out our motives. He knows what’s in our hearts. I believe the Lord holds back blessings if our motives are wrong, and we do things out of selfishness and pride. Our primary concern should be that we’re doing it—whatever “it” is—for the right reasons, not personal fame. This certainly applies to our writing careers. Are we writing to prove something to our family and friends? Are we hoping to gain notoriety? Some great financial gain? There’s nothing wrong with feeling good about what we do or having our family and friends acknowledge that we have talent or skills. Nor is it wrong to be paid for our labor. But in our heart of hearts, are we writing to serve God and follow our calling, or are we writing to serve and elevate ourselves? If our motive is truly to honor God with our gifts, then we won’t become so easily discouraged or envious when others experience earlier—or more—success. Let’s commit whatever we do—including our writing—to the Lord. With true and honorable motives, we can’t be anything but successful. Labels: Dawn Kinzer, Dawn's Devotions, devotions for writers, What's Your Motive?